The blogpost Concept Cartoons is so popular that we decided to write a second blogpost on the subject. 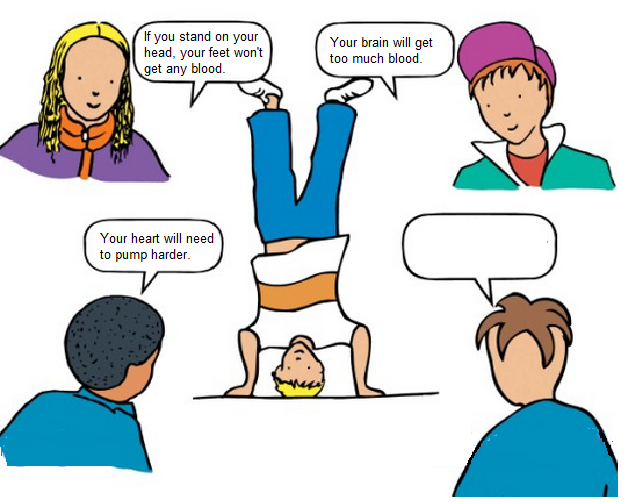 The advantage of using Concept Cartoons in class is that it does not require material and a great deal of organisation that comes along with practical, hands-on experiments in class. However, hands-on practicals can be part of it, and remain a valuable and essential part of science education. Two examples of concept cartoons. If you design your own concept cartoons it is recommended to leave one character with an empty speech balloon. For more information see the official Concept Cartoons website. If you design your own concept cartoons it is recommended to leave one character with an empty speech balloon. Try out the following cartoon. We have started the first question already. An effervescent tablet has been dropped in (warm) water.